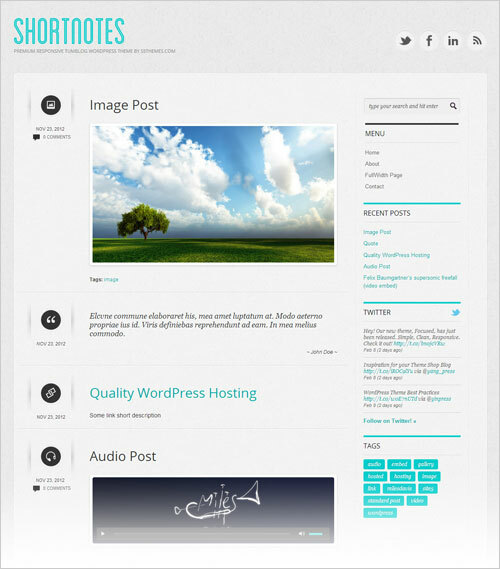 Who does not want to give a professional and compact look to his blog? Roaming around the web, peeping into the bulk of WordPress themes, there are hardly any which will make one go hand in glove with them. A creative and commendable look is always required when it comes to pick a theme for a blog. 2013 has set in with new happenings. New memories are to be made, new places are to be visited, new friends to come along, new horizons to be explored and a total novel routines altogether. when all this are undergoing the process of change why would blogs of the cyber world to be put aside? The themes I am bringing along are for all those bloggers who want to have a impactful blog and new on the ground of blogging. In order to make your business go above board today I am laced up with 20 best free Responsive WordPress themes 2013 with Premium features that would strike your eye in the first place and compel you to choose one for your new blog at once. Isn’t a good way to enlarge your business and keep it to the hill tops? These are also recommended to the blogger who wants to give a new touch to their blogs. 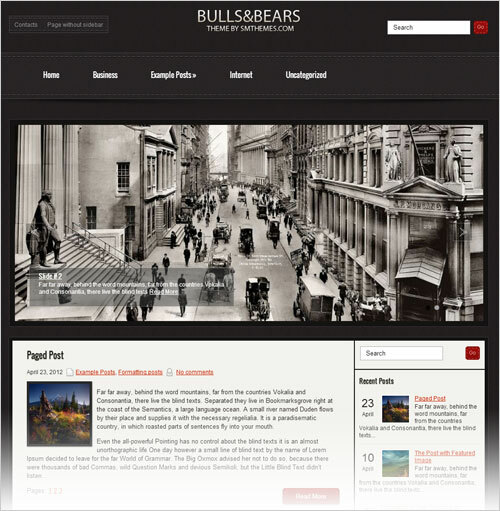 Why not to give a complete new look with a responsive theme to our own blogs? Scroll down and choose yours. 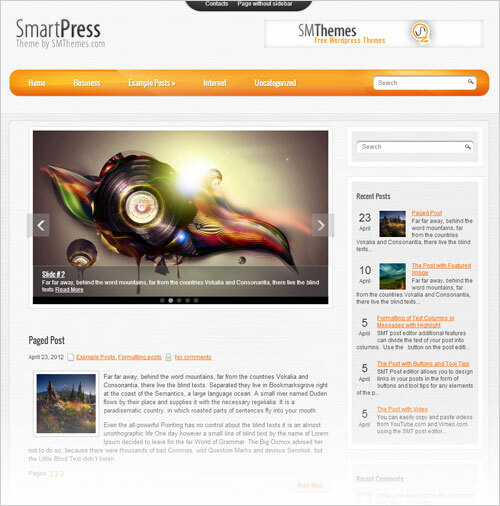 Koresponsive is a beautiful magazine style responsive WordPress theme for personal & professional blogs. It is free to use under the GPL Licence. It has shipped with featured slider, related posts with thumbnails, banner manager and much more. 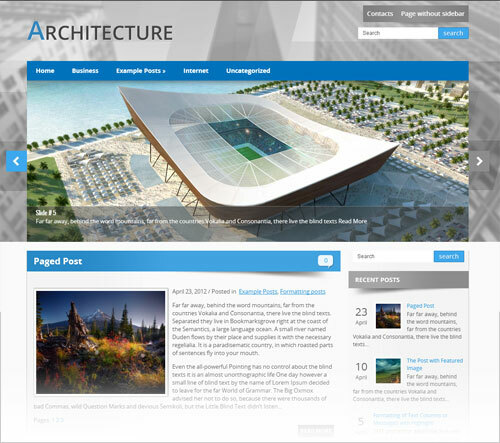 Architecture corporate business theme is a very professional looking theme. It has shipped with Responsive design, Custom Sidebars, Google Maps Shortcode, Widgets Ready, Social Share Bar, Translation Options, Beautiful Seperate Slider, completely SEO optimized, Supports Latest WordPress. 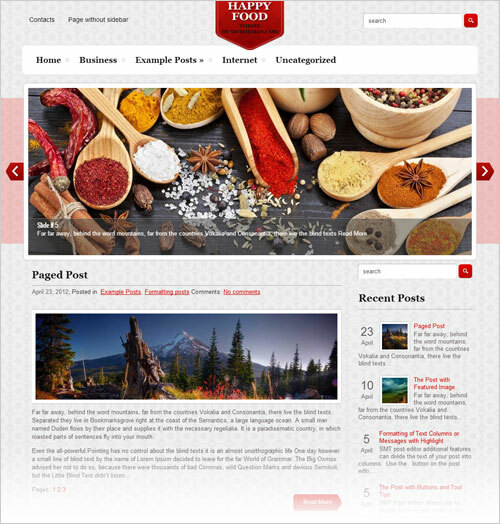 Happy Food elegant wordpress theme for food blogs and websites luckily it is responsive and shipped with so many fancy features. Custom Sidebars, Google Maps Shortcode, Widgets Ready, Social Share Bar, Translation Options, Beautiful Seperate Slider, completely SEO optimized, Supports Latest WordPress. 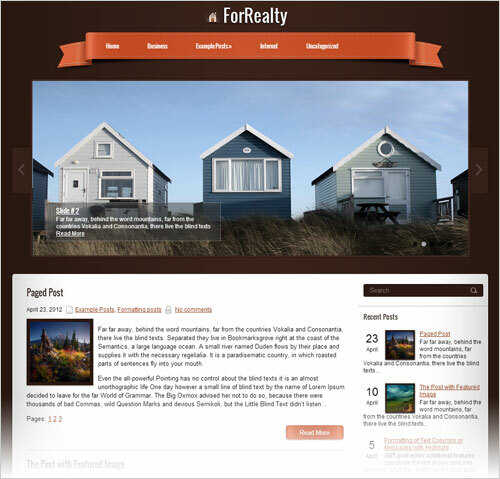 ForRealty theme is an awesome business wordpress theme for your 2013 blogs. Features include SMT framework, Responsive design, Custom Sidebars, Google Maps Shortcode, Widgets Ready, Social Share Bar, Translation Options, Beautiful Seperate Slider, completely SEO optimized, Supports Latest WordPress. 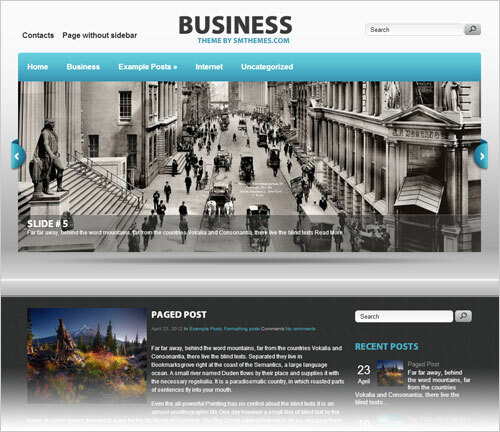 BizPress is a beautiful Business WordPress Theme 2013 with very easy to use admin features. 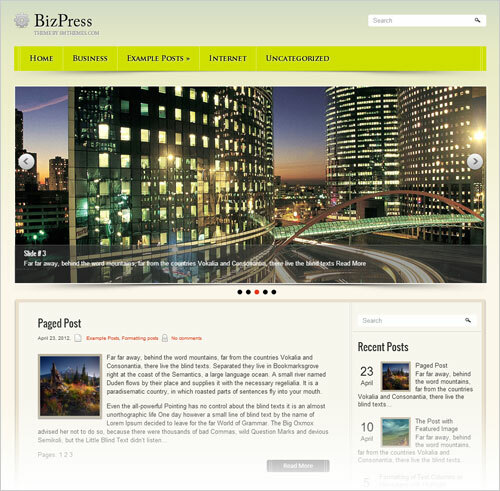 Bizpress is shipped with many handy features like SMT framework, Responsive design, Custom Sidebars, Google Maps Shortcode, Widgets Ready, Social Share Bar, Translation Options, Beautiful Seperate Slider, completely SEO optimized, Supports Latest WordPress. 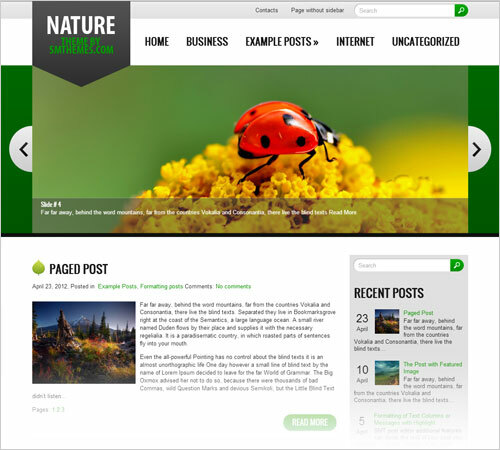 Nature Responsive wordpress is a fresh free WordPress Theme 2013 for nature loving blogs. It is shipped with fancy features like SMT framework, Responsive design, Custom Sidebars, Google Maps Shortcode, Widgets Ready, Social Share Bar, Translation Options, Beautiful Seperate Slider, completely SEO optimized, Supports Latest WordPress. Hotel is one of the best responsive free WordPress theme for restaurants and food blogs. It is shipped with fancy features like SMT framework, Responsive design, Custom Sidebars, Google Maps Shortcode, Widgets Ready, Social Share Bar, Translation Options, Beautiful Seperate Slider, SEO optimized, colorful related posts. 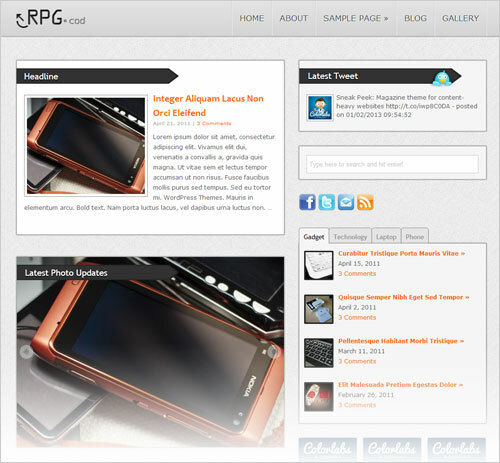 RPG.cod is a clean WordPress theme for gadgets & technology blogs. You can enable video in place of feature image. Free support is also available for this theme. Leatherly is a Responsive Free WordPress theme created for creative professionals. If you are a graphic design, web developer, painter or any other artist and if you want to showcase your work, your abilities, skill rating and contact info. 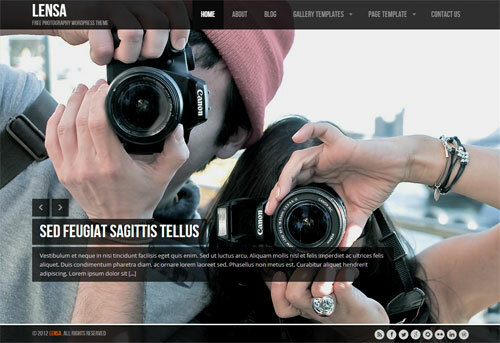 Lensa is a professional Free photography responsive wordpress theme for professional photographers. 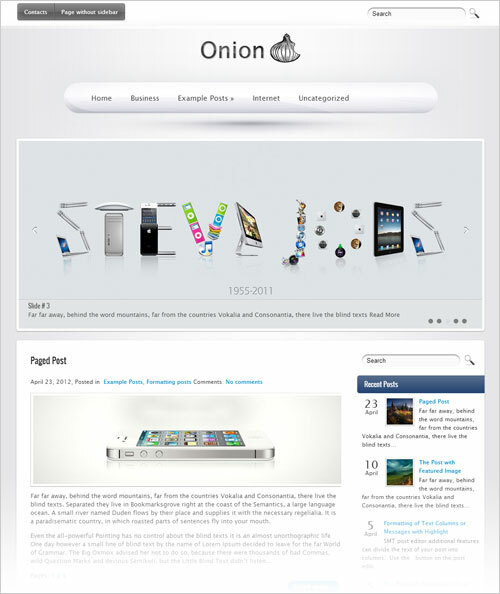 It is a full screen gallery theme. It is designed for people who are very keen about high resolution photography. 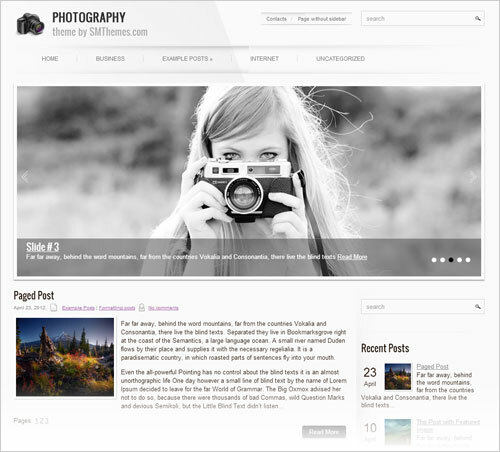 You can share your photography to Flickr, Instagram, Picasa and Pinterest. Lensa is the best choice and a great start up for photography enthusiasts. Features: Responsive layout, built-in pagination, theme options admin panel, widget ready, web fonts ready, localization ready etc. Ribbon is highly recommended for new bloggers. 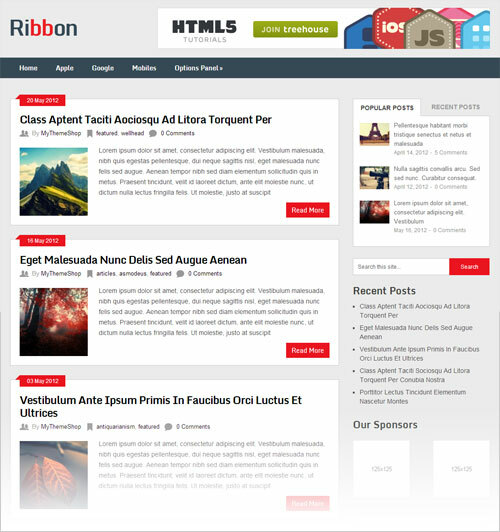 Ribbon 2013 Responsive WordPress Free theme is a widget ready, ads supported, related post images and admin panel supported theme. It will be a great start for new comers. 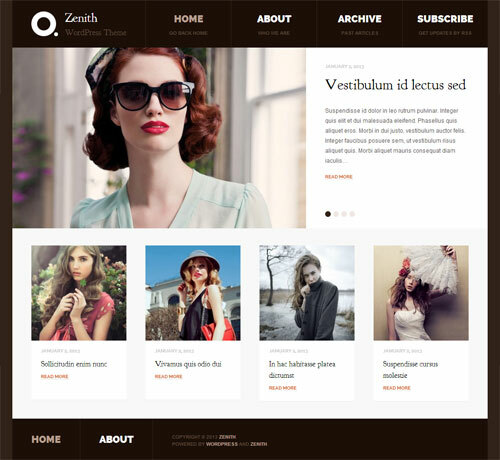 Zinith is a beautiful Professional responsive wordpress theme designed for blogs and online magazines. 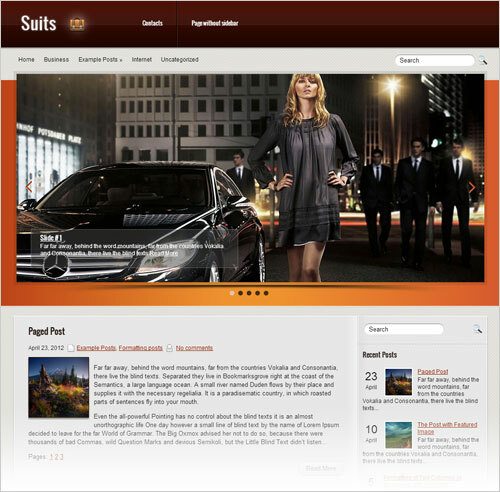 Zenith has multiple layout options, custom menus, integrated Gravity Form styles, and custom page templates.